Reading is an incredibly inexpensive hobby that provides so many benefits. Most of the time, it requires little or no electricity to engage in reading, so you’re not burning up watts and adding to your energy bill. 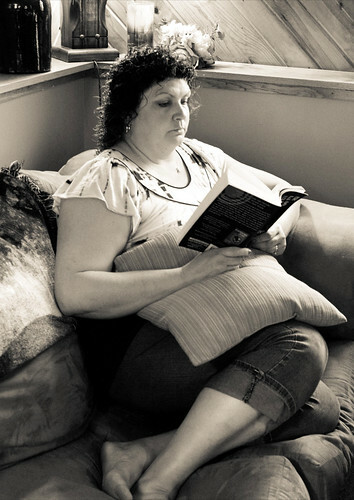 If you read outside or in a well-lit house, there’s no cost at all during daytime hours. At night, a tiny LED light eating less than a watt will provide adequate light for you to read by. 1,000 hours of usage of such a light costs about $0.15. A single good-sized book will provide you with many hours of entertainment. Depending on the size of the book, a book will take me between two and twenty hours to read. A larger book, naturally, is at the higher end of that scale. It’s something that will involve me over a period of time. Alternately, a single good-sized book will provide you with knowledge or enlightenment (and, sometimes, entertainment as well). A good book will make you think about some aspect of the world around you and make you reconsider that aspect a little, whether it’s human relationships, some aspect of the physical world, or an intriguing new idea. Even better, that single good-sized book can be acquired for practically nothing at your local library or used bookstore. Your local library has thousands of books that you can borrow for free. Your local used bookstore has thousands of books you can keep for just a pittance. The acquisition of a book is very inexpensive, particularly when you look at it per hour spent reading the book. A book can be read in small pieces when you have a five minute gap or in large chunks when you have a lazy afternoon. If you’re waiting for a few minutes until the water’s boiling for supper, you can read a page or two. When you have hours to burn on a cold winter’s day, a book can be your company then, too. Most books are incredibly portable. I can’t tell you the number of times I’ve gone somewhere with a paperback shoved in my back pocket. If you carry a purse or a backpack, you have plenty of room for virtually any book you might want to carry. There is a nearly infinite variety of books out there, so you can surely find one or two that match your interests. There’s a book out there for almost anything you can imagine. Whatever it is that you enjoy, there’s a book somewhere that’s going to be somewhat close to your exact interest. The act of reading improves your ability to absorb and comprehend written information, helping you in virtually any career path. There are very few jobs today that don’t incorporate written information or instructions, and the more you read, the easier it is for you to absorb that information and execute your job better. Reading also improves your cultural literacy, making it easier to find shared conversation points with others. The more you read, the more ideas you have in your head and the more ways you can find to connect with the people around you. Reading can be surprisingly social, too. I love discussing books with my friends, particularly ones we’ve both read. Often, we’ll choose to read the same books for the discussion opportunities. Book clubs take that idea to another level, turning books into a true social event. Reading is a wonderful hobby, and it would be even if it didn’t happen to be incredibly frugal as well.